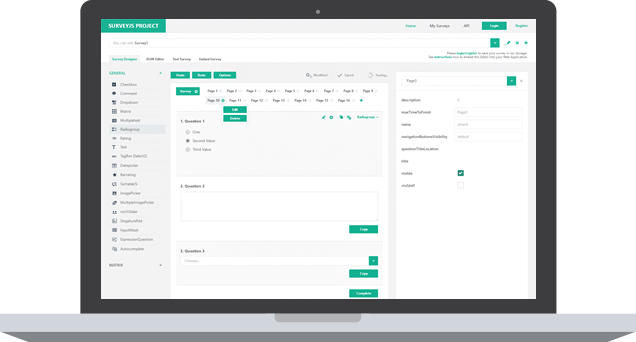 SurveyJS is a complete, fully customizable and extendable survey and survey creator / form builder solution. 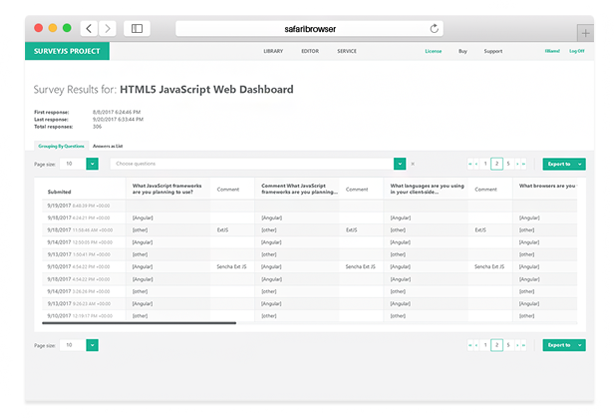 to integrate survey creator / form builder into your web apps, with functionalities you require. and educational organizations which use our open-source software to create digital surveys and forms. Like them, you can customize and extend our libraries to suit your needs. You can register to use our free Survey Creator / Form Builder to create and run surveys and then analyze the data. 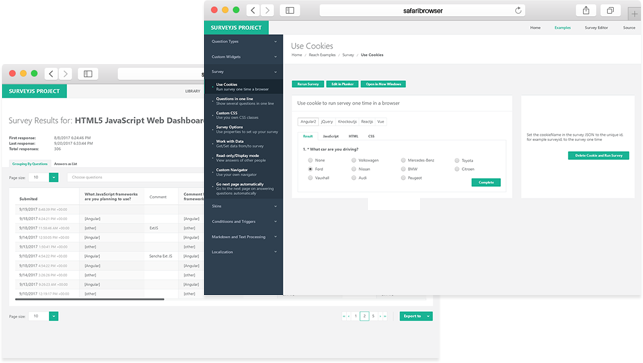 You can use our Survey Creator / Form Builder to create a survey definition and integrate our survey runner (SurveyJS Library, free under MIT license) for angular2+, jQuery, knockout, react or vue into your web page. You can then save the results to your database or using our service. your web application and allow your users create surveys, quizzes, and complex forms.